Having reliable Drupal support for post-development is a given, but these support services aren’t just for quick post-project patch ups. The many reasons for Drupal support include site feature addition, sophisticated content management, routine software changes, etc. Drupal is a highly versatile CMS, and versatility doesn’t mesh with stagnation. Without Drupal support, expect rust, corrosion, and bugs. Like any other advanced system, Drupal requires fine-tuning, maintenance, and routine tests. As sites become more and more complex and integrated, support services have to ramp up. In the open source world, things move pretty quickly. Every month Drupal’s team provides upgrades to the current stable version. Keeping Drupal core up-to-date with the latest means keeping up with these. Our Drupal support team here at Axelerant performs sanity checking after each update, testing compatibility with contributed modules as well. Ongoing maintenance and support keep Drupal running smooth. And when updating contributed modules, you need to know what you’re doing. Significant version upgrades for these various modules become available, along with security updates provided by the module maintainer. If you update these modules on your own, you need to check thoroughly all the required functionalities along with those of other dependent modules that might be affected. If you can’t figure this stuff out, API changes in a module might cause it to snap and stop working altogether. And when there are last-minute surprises, organizations lose money. Life without dedicated Drupal support gets hectic. You’re trying to grow a business, and site support will stagnate needed growth. With proper internal resources or Drupal staff augmentation, you’ve got little to worry about. If you don’t though, you might have some problems on your hands. Unsupported sites are easier to invade. Apart from standard debugging issues that disrupt website service, Drupal support teams provide a reliable defense. A lack of attention when it comes to overall site security, and more specifically security updates, means your organization could come under attack. Not only could your business take a hit, but your customers or clients also might. Hackers target and steal valuable information, information entrusted to you. Companies lose $400 billion to hackers each year, according to Lloyds. 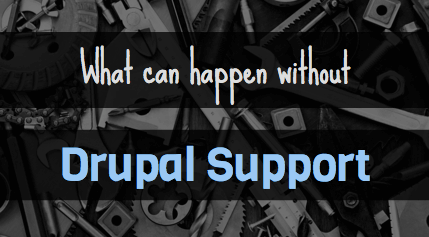 Drupal Support helps protect you and others from becoming vulnerable. It doesn’t just end with you. Reviewing the security implications of various contributed modules and submitting patches based on these reviews to help others are hallmarks of premier service and open source integrity. It's not just about server stability; we’re talking key functionality here. While a site may stay up, critical functions might not be working. If this happen, turnaround time becomes everything. Assuming this isn’t server-related, calculating the cost of downtime consists of figuring out the cost of recovery, wasted manning, high bounce rates, loss of expected gains, lost data, etc. And who could forget angry clients or customers, prone to sticky social media or review criticism. Here’s the bottom line: when things on your website break, you lose. Everybody experiences the frustration of essential feature or site downtime. A Globalscape survey of 283 IT professionals and end-users found that nearly 90% of organizations have unexpectedly lost access to critical systems, and almost a third deal with downtime issues every month. And this goes for the big guys too. According to Dun & Bradstreet, more than half of all Fortune 500 companies experience 1.6 hours of downtime weekly. That’s 80 hours of downtime per year, with estimates placing yearly downtime costs at $40 million. Every minute of downtime equates to lost profits and the bigger you are, the harder you fall. Waiting until it’s too late is never a good idea. When issues come up, and you don’t have support, it eats up time like nothing else. At that point, you can’t just pick any agency and hand over the issues. Decision makers need time to analyze and vet recovery options. Otherwise, bringing in the wrong people will make the situation far worse. So, on one hand your site is down and on the contrary, you’re trying to onboard a potentially weak or inexperienced support team—all while paying out the nose. These emergency fixes are pricey and leave you dealing too quickly with freelancers you might not be able to trust. Because the wrong team could just make it worse. We’ve received requests from businesses that have dealt with inflexible Drupal support and maintenance services. They witnessed their support project go from bad to horrifying. Value-driven, scalable services are what our teams offer, with goals of building a trusted, long-term partnership. 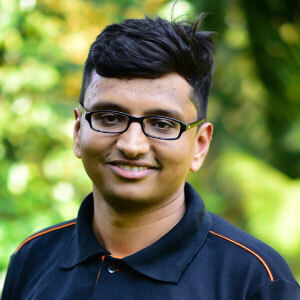 If you’re running a Drupal site, and you care about keeping it up-to-date with patches, contributed module updates, version upgrades and more, considering looking into acquiring a Drupal support team.